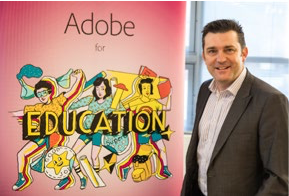 Victorian schools are invited to engage with Adobe Education in 2016. Adobe is the global leader in creativity software with over 100 products and services being used by teachers and students across the globe to enhance creativity in education. Adobe Days are student and or teacher workshops with expert Adobe educators or trainers. They occur either as an excursion to an Adobe office or an incursion where the Adobe educator/trainer visits your school. Adobe online engagements range from published events and course on the Adobe Education Exchange to specific webinars usually managed via Adobe Connect. Dr Tim Kitchen (Adobe Education Specialist, APAC) has over 20 years experience as an educator in primary, secondary and tertiary education before starting at Adobe in 2013. He is a highly sort after presenter and education thought leader, regularly speaking at national and international education events. His Adobe passions include video production and online communication. 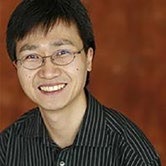 Brian Chau (Adobe Solution Consultant) has been with Adobe since Macromedia days. Brian regularly runs workshops and presentations for Adobe across Asia Pacific for education, commercial and government customers. His passions include web development, mobile app development, image manipulation and animation.